The Dingo Fence or Dog fench is a pest exclusion fence that was erected in the late 1800s to keep dingoes out of the relatively fertile south-east part of the continent and protect the sheep flocks of southern Queensland, Australia. 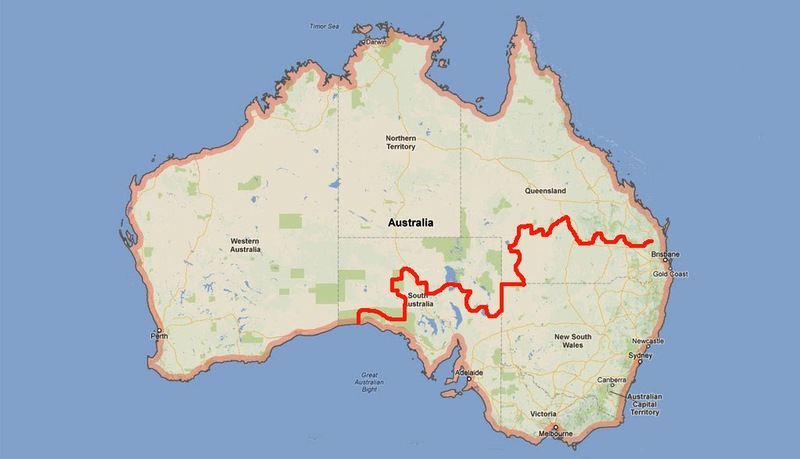 This is the world's longest fence that stretches 5,614 km (3,488 mi) Beginning at the Queensland village of Jimbour in the Darling Downs and zigzags its way across Australia to the cliffs of the Nullarbor Plain above the Great Australian Bight. Dingo fence near Windorah in far south west Queensland in August 2013. The dingo fence is still actively maintained. The Dog Fence Board, Wild Dog Barrier Fence Panel and Wild Dog Destruction Board maintain fence in South Australia, Queensland and New South Wales respectively. The fence was not a singular construction but rather the coming together of multiple fences. 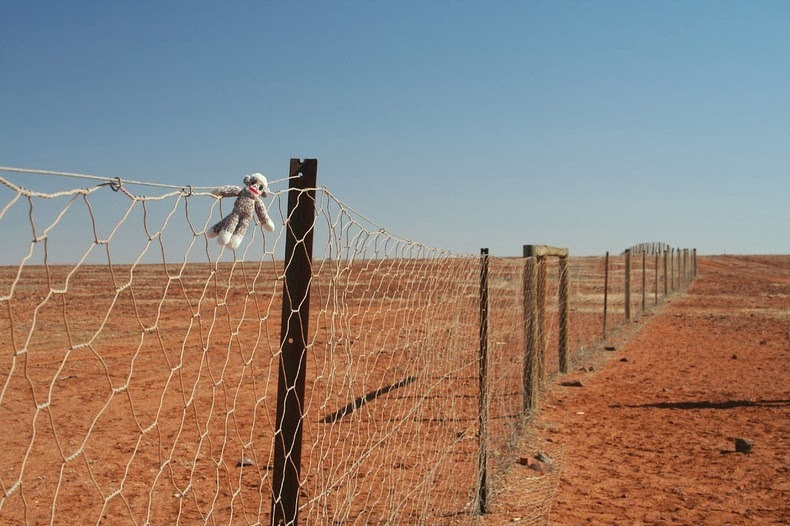 Earliest fence was constructed between 1880 and 1885 across southern Queensland as a rabbit-proof fence. 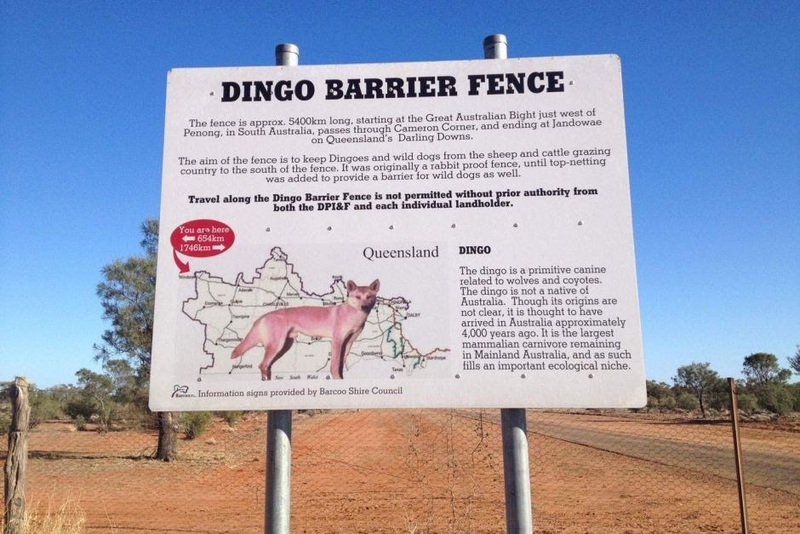 Having been unsuccessful at keeping rabbits out, and more successful at keeping out pigs, kangaroos, emus and brumbies and as more sheep farms were established, the interest for a dingo-proof barriers increased. Fence was then expanded in 1914 and eventually joined with other animal exclusion fences across the southeast quarter of the country – the Queensland Border Fence, the South Australia Border Fence, and the section that stretches across South Australia known simply as the Dog Fence. Over time poisoning the species specifically via bait laced with sodium monofluoroacetate (1080) has been seen as a much cheaper alternative than fence maintenance and due to cost reason length of the fence has been reduced by 3,000 km from its previous length of over 8,000 km.